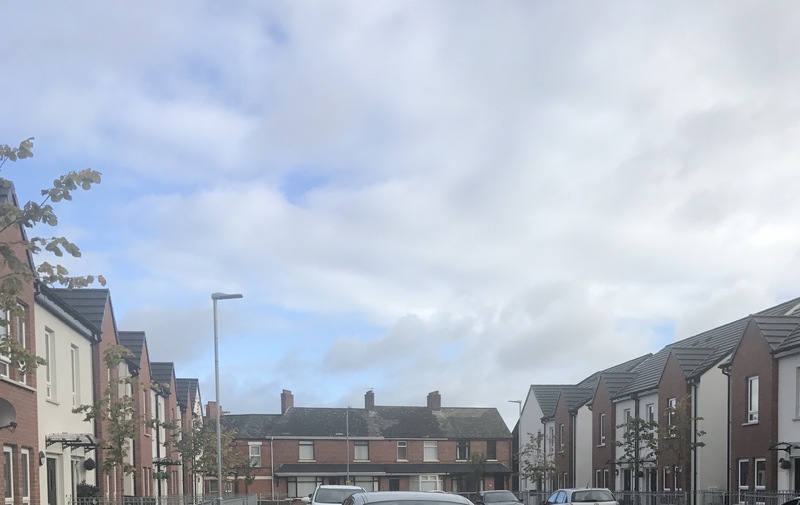 The East Belfast Community Initiative has held positive discussions with local MP Emma Little-Pengelly in relation to the issues arising in Cantrell close, including the threats made to elderly loyalist community workers. In these discussions Emma re-iterated her strong desire to de-escalate tensions relating to the Cantrell close situation. As a result of these discussions we have secured agreement with the local community to have the Ulster Volunteer Force 1912 commemorative flags removed. This has now taken place. These perfectly lawful and legitimate flags have been removed in this particular instance as a goodwill gesture. It is our belief that this will demonstrate the desire of the local loyalist community to de-escalate the tensions that we believe have been whipped up by Sinn Fein and Alliance in the South/East Belfast area. The East Belfast Community Initiative supports the right of the Unionist community to fly all legal flags. We have been working with the east Belfast Ulster Volunteer Force ex-combatant group, which represents east Belfast and areas in North Down, Ards and Lower Ards as part of a wider positive development process envisaged by the Fresh Start agreement. These discussions will continue and part of that process will involve detailed discussions around potential future flag protocols. 99 Responses to "NEWS: EBCI secures removal of commemorative flags after discussions with DUP MP "
Do you mind if I quote a couple of your articles as long as I provide credit and sources back to your website? My blog is in the exact same niche as yours and my visitors would really benefit from a lot of the information you provide here. Please let me know if this alright with you. Thank you! Do you mind if I quote a few of your posts as long as I provide credit and sources back to your blog? My website is in the exact same niche as yours and my visitors would genuinely benefit from some of the information you present here. Please let me know if this okay with you. Regards! I enjoy you because of all of the work on this blog. Ellie really loves going through investigation and it is easy to see why. We notice all concerning the compelling medium you offer reliable thoughts through your web blog and as well strongly encourage response from website visitors on this point then our favorite child has always been starting to learn a whole lot. Have fun with the rest of the year. You are always doing a remarkable job. Simply wish to say your article is as astounding. The clarity in your post is simply nice and i could assume you are an expert on this subject. Fine with your permission allow me to grab your feed to keep updated with forthcoming post. Thanks a million and please continue the enjoyable work. Very nice post. I simply stumbled upon your blog and wished to mention that I’ve truly enjoyed browsing your weblog posts. After all I’ll be subscribing in your feed and I am hoping you write once more very soon! We’re a bunch of volunteers and starting a brand new scheme in our community. Your website offered us with helpful information to work on. You have done an impressive process and our entire neighborhood will probably be thankful to you. I loved as much as you will receive performed proper here. The sketch is tasteful, your authored subject matter stylish. nevertheless, you command get got an impatience over that you want be delivering the following. in poor health without a doubt come further before once more since exactly the same just about very steadily inside case you shield this increase. Hi, Neat post. There’s a problem along with your web site in web explorer, might check this… IE nonetheless is the marketplace leader and a big section of folks will miss your wonderful writing because of this problem. My brother suggested I may like this website. He was totally right. This put up actually made my day. You cann’t believe just how so much time I had spent for this information! Thanks! Please let me know if you’re looking for a writer for your site. You have some really great posts and I think I would be a good asset. If you ever want to take some of the load off, I’d absolutely love to write some content for your blog in exchange for a link back to mine. Please blast me an e-mail if interested. Thank you! I actually wanted to compose a quick word so as to express gratitude to you for these amazing steps you are writing at this site. My considerable internet look up has at the end of the day been compensated with extremely good tips to talk about with my two friends. I ‘d express that most of us site visitors are undeniably fortunate to exist in a fabulous community with very many perfect professionals with beneficial principles. I feel very lucky to have encountered your weblog and look forward to tons of more amazing moments reading here. Thanks again for a lot of things. Excellent post. I was checking constantly this blog and I am impressed! Extremely helpful info particularly the last part 🙂 I care for such info much. I was looking for this certain information for a long time. Thank you and best of luck. Spot on with this write-up, I truly suppose this website wants far more consideration. I’ll probably be again to read way more, thanks for that info. Thank you a lot for providing individuals with an extremely special opportunity to check tips from this site. It can be so awesome plus jam-packed with a lot of fun for me personally and my office mates to search the blog at minimum thrice in a week to learn the latest issues you have got. Not to mention, I am also at all times fascinated with your astonishing ideas served by you. Some 1 facts on this page are without a doubt the very best we have all had. We are a bunch of volunteers and starting a new scheme in our community. Your web site provided us with valuable info to paintings on. You’ve done an impressive task and our whole community might be grateful to you. Greetings from Colorado! I’m bored at work so I decided to check out your blog on my iphone during lunch break. I enjoy the information you provide here and can’t wait to take a look when I get home. I’m surprised at how quick your blog loaded on my phone .. I’m not even using WIFI, just 3G .. Anyhow, wonderful site! of course like your web-site but you have to take a look at the spelling on quite a few of your posts. Many of them are rife with spelling issues and I in finding it very troublesome to inform the truth nevertheless I will certainly come again again. After examine just a few of the blog posts on your website now, and I truly like your way of blogging. I bookmarked it to my bookmark website list and shall be checking back soon. Pls try my site as properly and let me know what you think. Thank you for any other informative site. The place else may I am getting that type of info written in such an ideal manner? I have a undertaking that I am simply now operating on, and I’ve been at the look out for such information. I’m typically to running a blog and i really admire your content. The article has really peaks my interest. I am going to bookmark your web site and preserve checking for new information. I’m also commenting to make you know of the fine encounter my princess obtained going through yuor web blog. She discovered a wide variety of pieces, which included how it is like to possess a very effective giving nature to let many people easily master specific tricky matters. You truly surpassed our own expected results. Thank you for providing these interesting, trusted, edifying as well as cool tips on the topic to Gloria. Have you ever considered publishing an e-book or guest authoring on other websites? I have a blog based on the same topics you discuss and would love to have you share some stories/information. I know my readers would appreciate your work. If you are even remotely interested, feel free to send me an e mail. Needed to write you the very little note to finally thank you very much as before for the lovely tactics you have provided here. This has been really strangely generous of people like you to give publicly precisely what most people would have made available for an e book in making some bucks for their own end, and in particular seeing that you might have tried it if you decided. The strategies also worked to provide a easy way to understand that some people have similar zeal much like my personal own to grasp way more with respect to this issue. Certainly there are several more pleasurable moments ahead for folks who looked over your website. I am usually to blogging and i actually appreciate your content. The article has really peaks my interest. I am going to bookmark your website and preserve checking for brand spanking new information. I’m still learning from you, while I’m trying to reach my goals. I definitely liked reading all that is written on your blog.Keep the tips coming. I loved it! We stumbled over here by a different website and thought I should check things out. I like what I see so i am just following you. Look forward to looking over your web page yet again. I was very happy to find this web-site.I needed to thanks for your time for this wonderful read!! I definitely having fun with every little bit of it and I’ve you bookmarked to take a look at new stuff you blog post. Good day I am so glad I found your webpage, I really found you by mistake, while I was searching on Aol for something else, Anyways I am here now and would just like to say thanks a lot for a remarkable post and a all round interesting blog (I also love the theme/design), I don’t have time to read it all at the moment but I have bookmarked it and also included your RSS feeds, so when I have time I will be back to read much more, Please do keep up the awesome work. I am not certain the place you’re getting your information, but great topic. I needs to spend some time finding out more or figuring out more. Thank you for magnificent information I was searching for this info for my mission. Thank you for every one of your effort on this blog. Ellie enjoys getting into investigation and it is easy to understand why. I know all regarding the lively manner you create powerful items on your web site and therefore cause response from some others about this content and our favorite child is truly understanding a whole lot. Enjoy the remaining portion of the year. You’re the one conducting a powerful job. I am now not positive where you are getting your info, however great topic. I needs to spend a while finding out much more or understanding more. Thank you for great info I used to be in search of this info for my mission. Simply wish to say your article is as surprising. The clearness in your post is just great and i can assume you are an expert on this subject. Fine with your permission let me to grab your feed to keep up to date with forthcoming post. Thanks a million and please keep up the rewarding work.